To please the budget phone lovers, Intex has launched it’s best budget smartphone, the all new Intex Aqua Star II featuring Android 4.4 kitkat OS, 8-MP Rear + 5-MP front camera in Indian market priced at Rs 5,990 in White, Black, Blue, Grey colour option. Intex has recently launched Intex Aqua Power HD featuring 5”inch HD display, 13-MP+5-MP Camera, 4,000mAh battery priced At Rs 9,444 in white, black, blue and grey colour option and Intex Aqua Star L with Android Lollipop priced at Rs 6,990 . 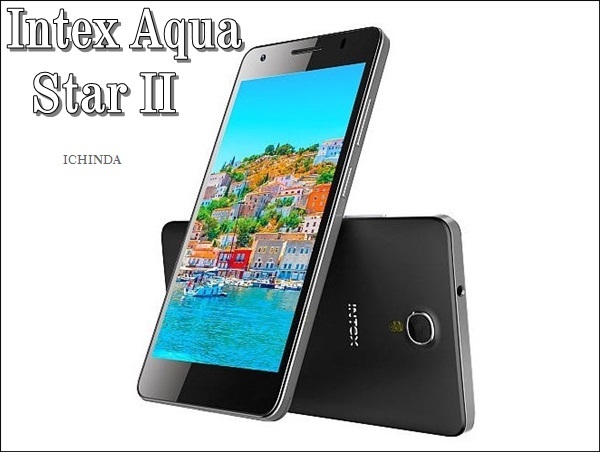 Intex Aqua Star II will replace Intex Aqua Star but biggest competitor of Xiaomi Redmi 1S and Lenovo A6000. The all new Intex Aqua Star II supports dual-SIM (GSM+WCDMA), 3G, GPRS/ EDGE, Wi-Fi 802.11 b/g/n, Micro-USB, and Bluetooth offers you a a 5-inch FWVGA IPS Full Lamination Display with resolution (480×854 pixels) promising crystal clear view from every angle while latest Android 4.4 kitkat OS and powerful 1.2GHz Quad-core processor capable of revolutionizing your multitasking. Aqua Power’s 1GB RAM, 8GB ROM and 32GB external memory allows you to store your favorite songs, movie and games. Intex Aqua Star II also offers you a 8-MP Primary camera with LED flash with Smart Camera Feature –HDR, Face Beauty, Panorma, Live Photo Mode,Continous Shot which allows you take a photo in low light condition and 5-MP secondary front camera for video calling and selfies. Intex Aqua Star II is powered by most powerful 2,000mAh battery with Smart features – Fast Charging comes in a dimension at 141mm x 72.9mm x 8mm promising Talk Time up to 5 hrs and Standby Time 220 Hours hours weight 130gm. At last Few honest word, that all new Intex Aqua Star II is the best budget phone from Intex. What you think? Please be open to give your view.